Kumbh Mela: Do Our Vedic Texts Mention this Unique Pilgrimage? The author is Professor of Ancient History, Culture and Archaeology, University of Allahabad, and General Secretary of the Society of Pilgrimage Studies. The Kumbh Mela is considered India’s greatest pilgrimage and was included in the UNESCO Intangible Cultural Heritage of Humanity list in 2017. The festival is celebrated during an astronomical conjunction that occurs every 12 years by rotation on the banks of four rivers—the Ganga at Haridwar, the confluence of the Ganga, Yamuna and mythical Sarasvati in Prayagraj, the Shipra in Ujjain, and the Godavari in Nashik. Smaller celebrations are also held within the 12-year period. 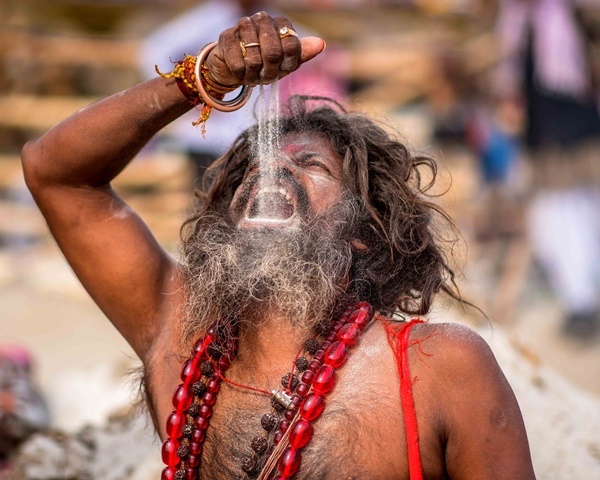 The Kumbh Mela is a festival where devotees—saints and householders, rich and poor, old and young, naked and clothed, men and women—gather in droves for a holy dip. Several myths surround the origins of this festival, which have had significant influence in strengthening the socio-cultural foundations of Hinduism. Surprisingly though, ancient Indian texts have little or no mention of Kumbh Mela, and most of the available information on this significant event is based on oral tradition and hearsay. Indeed, this festival does not figure in Vedic texts, sutra literature, epic-Puranic texts, smritis, dharmashastras, or any other digests. It is believed that the Kumbh Mela takes place at the locations where drops of nectar fell as the suras (gods) and asuras (demons) churned the ocean (samudramanthan). The churning threw up many things, including the cup of nectar. Though the story of the samudramanthan is found in the epic-Puranic texts, the incident of four drops spilling at four places on earth is not mentioned. It appears that this epic-Puranic myth was verbally grafted some time to provide the tradition of the Kumbh Mela with a respectable antiquity. To trace the historicity of the Kumbh Mela to Vedic times, some orthodox votaries quote two passages from the Atharva Veda (IV.34.7; XIX.53.3), three from the Rig Veda (I.8.9, X.89.7, XII.3.23) and one from the Yajur Veda (Madhyandina, 19.87). Of the Atharva Veda verses—‘चतुर: कुम्भांश्चतुर्धा ददामि’ and ‘पूर्ण: कुम्भोSधिकाल आहितस्तं’—the first belongs to a hymn in glorification of the Vishtari sacrifice and the second is related to 'godly time'. Here, kumbh stands for the Sanskrit word meaning a 'water pitcher', and not the festival. Even the scholars of the Vedas from medieval India, such as Udgitha (17th century) and Sayana (14th-15th century), did not associate these phrases with any festival, though pilgrimages and festivals were very common from the 14th century onward. Even the meaning of the passages from Rig and Atharva Vedas is unrelated to the Kumbh festival. Another fact that supports the argument is that the knowledge of the Roman/Western zodiac signs—one of the important factors behind the festival—was unknown to the Vedic people. India became familiar with the Western zodiac only around the beginning of the Christian era. 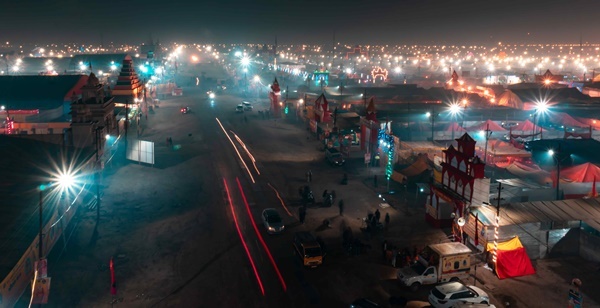 Kumbh does appear in some Puranic texts, but none of the usages connect it with a festival. The Vayu Purana (II.15.47) describes it as a holy place to hold shraddha (ritual to appease the ancestors) rites. This kumbh of the Vayu Purana may be identified with a place called Shri Kumbh on the erstwhile Sarasvati river referred to in the Naradiya Purana (II.65.100), where a holy bath was believed to bestow the same benefit of performing a yajna (fire worship). For those still confused by these references, the apt observation of Shankhadhara of Kashi (12th century CE) may be useful. He says, 'गु’रोर्गिर:पंचदिनान्युपास्य वेदान्तशास्त्राणि दिनत्रयं च, अमी समाघ्रातवितर्कवादा: ('Scholars, who learn lessons delivered by the teacher in five days, Vedas and shastras in three days, acquire the knowledge of argument, or vitarka, simply by sniffing') (Latakamelakam, II.14). At Prayagraj, Nashik and Ujjain, the Kumbhayoga (a special conjunction of the stars under Kumbh) is not connected with any celestial body being in the Kumbharashi (the sign of Aquarius, or water pitcher). 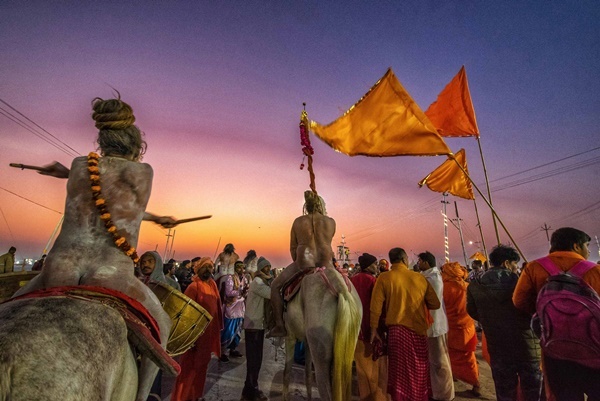 Traditions for holding the Kumbh Mela at Prayagraj, Nashik and Ujjain do not contain the word kumbh, which is used exclusively for the festival at Haridwar. 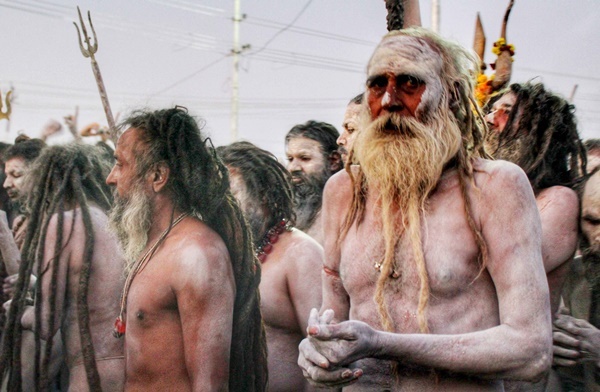 The festivals at Nashik and Ujjain are known as Simhastha, not Kumbh Mela. This is because the event is held when Jupiter is in Leo (Simharashi). There is no available astronomical or astrological text reference to Kumbhayoga. It appears from the Puranas that the Kumbhaparva (the period of Kumbh) derives its name from an auspicious occasion of ritual bathing that took place at Haridwar every 12th year when Jupiter was in Aquarius and the Sun entered Aries. This astronomical conjunction is referred to in the Naradiya Purana (II.66.44) and the Bhavishya Purana (III.iv.7.37-38) as a sacred time for bathing in the Ganga at Haridwar. This suggests that the mela was originally observed at Haridwar and was called kumbh as it was held during Jupiter in Aquarius. Another interpretation, connected to the myth of amrita (nectar), is that in the Vedic period amrita was foodgrain[i], but in the epic-Puranic age, the interpretation was replaced by that of Ganga, or water. While foodgrain symbolised the introduction of agriculture in India, the concept underwent a change during the Puranic times to uphold the grandeur of the life-sustaining Ganga—equally important for agriculture, and the Kumbh Mela served to celebrate the fact. Of the four places where the nectar had mythically spilled, Haridwar and Prayagraj are located on the Ganga. Even the river Godavari, on the banks of which Nashik is located, has been called ‘Gautami Ganga’ in the Puranas (Brahma Purana, 78.77). Ujjain’s connection to the Ganga has been recorded in the Skanda Purana (Avantya-khanda; I.i.29,33,42), which mentions that the river Shipra flows eastward from the point where it was once embraced by the Ganga. A linga (a phallic object) named Gangeshwar was also found on the southern bank of the Shipra in Ujjain. All of this point to the significance of the Kumbh Mela as a ritualistic bathing festival associated with Ganga, whose water was like nectar to the unknown authors of the kumbhaparva legend during the medieval period of Indian history. The kumbh itself became one of the Ganga’s sculptural features in Indian art from the Gupta period (4th-5th centuries) onward. Once recognised as one of the largest religious peaceful gatherings in the world, the Kumbh Mela has come to be celebrated as an important Hindu pilgrimage. The mela brings to life, in an organic and cosmic form, a personal experience of the Indian folk and Sanskritic traditions on a scale never seen elsewhere, reflecting the ultimate sense of sacrality related to a place and a time. Irrespective of ancient textual validation, the celebration of the Kumbh Mela is a testimony to the sacred emergence, and integration of space and time with the human spirit. [i] D.P. Dubey, 'Kumbha Mela—An Alternative Interpretation in Mahakumbh’, ed. Neelabh (Lucknow: Lucknow Time of India, 2013) 99–101.